Im trying to order some parts and can't figure out what motor it is for this 3 cylinder ford . . 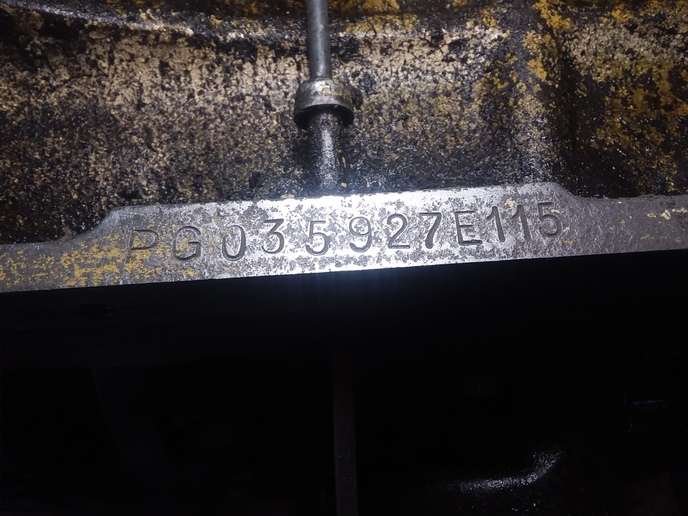 I think i found the engine serial number just above the cast iron oil pan on left side of motor right by the dip stick. The number is PG035927E115 . on the right side of block on lower front...numbers are raised....C5NE 6015 C and right below that on a small raised pad is 5D23 . heres some more info..it has cartridge oil filter..power steering reservoir is a canister up above pump...has 13" clutch. 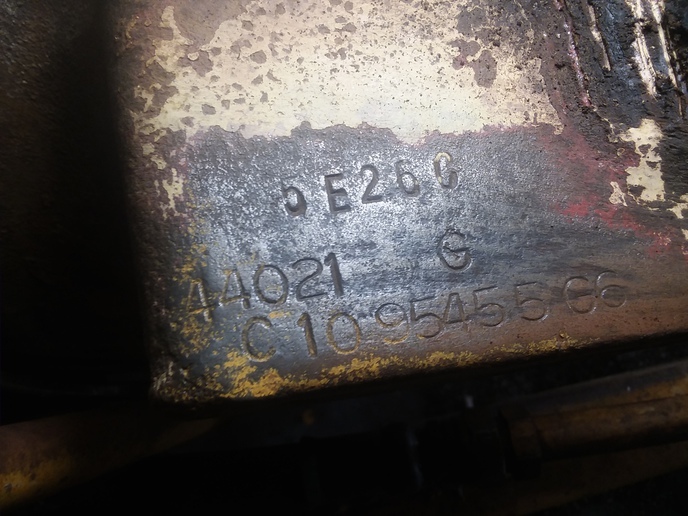 Thanks..
here is pics of ENGINE serial numbers .I think the backhoe is about a 65 model 4400 or 4500 . Sounds like you may have a 4400 but not sure. 4500 power steering gets it's oil from the hydraulic tank in the front grill shell. Is this a gas or diesel engine. Normally the serial # on the right side oil pan rail, I'm wondering if this is a replacement engine. I have on info on the engines PG serial number. 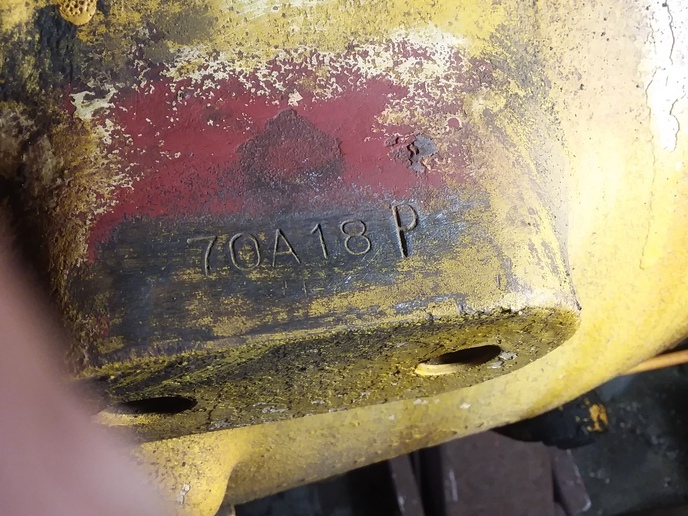 Look on the flat area behind the starter for 3 sets of hand stamped numbers, they will tell us the model, production date and serial number of the tractor. More photos of the tractor and complete engine would also help. paint ..it could be a replaement motor like you said. Your tractor is a 4400 utility with gas engine, no pto and 4x4 trans. 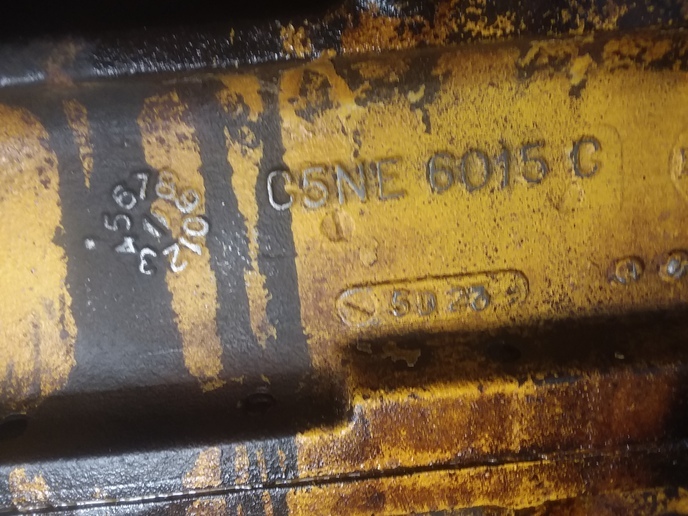 Serial number is correct for a 65 model tractor.